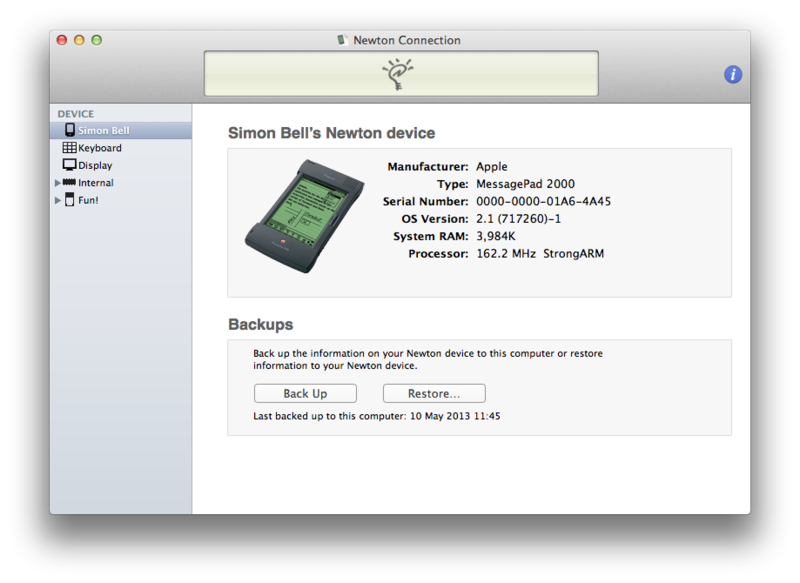 Allows your Mac to talk to a newton over a serial port. App created with WineBottler - stand alone - does not require Wine to be installed. I would suggest you use Wine and the PC version of PaperBack to save on the download size. The official Mac version of PaperBack requires a Mac Classic environment which recent OS X does not support. Newton Connection 3.0 requires macOS Sierra.